While our uPVC doors perform brilliantly, there’s another option that gives you even more bang for your buck: double glazed composite doors. They take energy efficiency to the next level, and they are even more durable and secure, too. That makes them the ideal choice for front doors, as they will give you maximum performance for decades before they need to be replaced. Best of all, at the Advanced Group we’ve got the biggest range of composite doors in Scotland, so you’re sure to find a door that’s just perfect for your home! Double Glazed Composite Doors Vs. uPVC Doors- What’s the Difference? You might be wondering- just what makes a composite door better than a standard uPVC door? Although they often look pretty similar, there are several key distinctions which can make all the difference when it comes to performance. In essence, it all comes down to what they are made from. uPVC doors are made entirely from plastic, whereas composite doors use a mixture of PVC, wood, glass, and other materials. These are crushed into a fine powder and then pressed together in a special high-pressure machine. Why go to all that effort to make the material? Well, the ingredients that go into a composite door have all been chosen to counteract the disadvantages that tend to come with a single-material door. Unlike wooden doors, there’s no risk of rot or woodworm causing any serious damage, and since they are thicker than uPVC doors- an average of 40mm, compared to 28mm with uPVC- composite doors are much more durable and long-lasting. 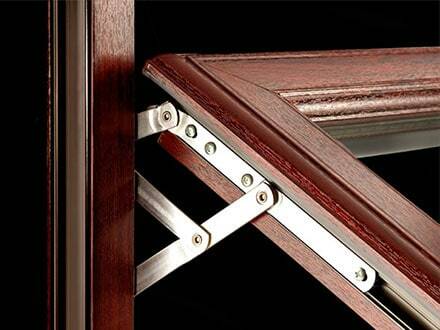 Not only does that added thickness boost the security of your doors, but it also has a big impact on energy efficiency. For keeping your house warm and your energy bills low, composite doors are the ideal choice! Speaking of choice, composite doors also come in a much bigger range of styles and colours than uPVC doors. That’s because the manufacturing process allows for more flexible design options, opening up a whole new world of choice. Whether you prefer something more classy and traditional or want to put a more modern stamp on your home, you can be sure that the Advanced Group have a composite door to suit your own personal style. There are also many more options when it comes to the glass in your new door, too- so if you like to get things just right when it comes to design, then composite doors are the way to go. Arrange Your FREE Double Glazed Composite Doors Survey Now! As well as having the biggest range of composite doors around, the Advanced Group also outstrips the competition when it comes to installation, too. Our expert team of installers will ensure that your new door is fitted perfectly, and in case you run into any problems later on, all our products are covered by an incredible 15-year guarantee. That’s far longer than the industry average because we like to take care of our customers here at Advanced. When you come to us, you can be sure of the very best service around- and that’s a promise! Finding out more about our double glazed doors couldn’t be easier- just download our Composite Doors Brochure to see for yourself what we have to offer. Alternatively, feel free to get in touch direct with The Advanced Group today, and discover which of our double glazed composite doors are ideal for your home. Just fill out the form below, or call us on 0800 316 7981 to arrange a FREE, no-obligation survey at a convenient time. Our expert surveyors will be able to give you plenty of useful advice on which solutions will best suit your home. 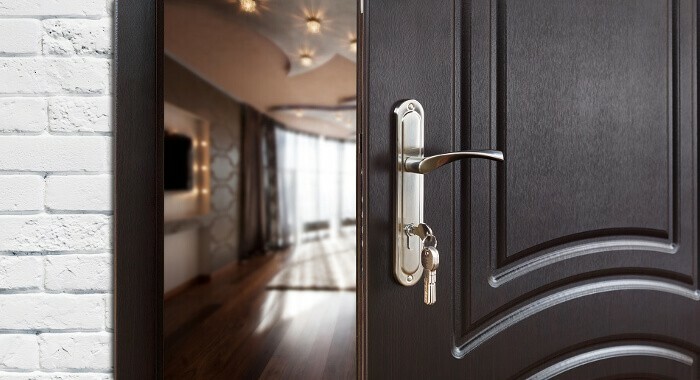 It’s time to fit your home with the front door it deserves- so contact us today to get the ball rolling!